Mapping the economy in a scale model of the Old Kent Road. It is a common misconception that our economy is now a digital and invisible high tech phenomenon. Light manufacture, high streets, studio space and workshops have suffered as a result. A generation of ill-conceived city planning has forced unjust prejudiced on working land and economic activity. This has resulted in a common misunderstanding of the everyday activities and wonder that take place on city streets, within it's depth and supporting spaces around them. In the last decade local authorities and developers have actively dismembered huge swathes of high demand economic land, making way for new predominatly residential development. Hasty plan making and a lack of understanding of economic geographies, has resulted in the gradual hollowing out of our cities. The Greater London Authority anticipate that soon London will find itself in a workspace accommodation crisis. The economy of places like the Old Kent Road is fine grain, vibrant, diverse and crucial to the future success of London. Its location on the periphery of the city allows for just-in-time services such as printers, logistics and couriers to keep the heart of London moving. Meanwhile, much needed studio space provides a home for burgeoning bespoke manufacture and creatives. The high street supplies the local communities and light manufacturing spaces support the production of local goods for London as a whole. None of these uses can exist and thrive outside of London. Many businesses have an inter-dependency upon each other to supply goods and services, creating a community of makers and traders. Local democracy does not entitle businesses to have a vote or a say in their council/ administration, we are therefore trying to bridge this gap to enable planners and politicians to understand that a good city has everything. A good city is well mixed and interrelated, favoring some uses and actively promoting the expropriation of others, will lead to the homogenization of our cities. London is at risk of becoming a 700sqm housing estate. 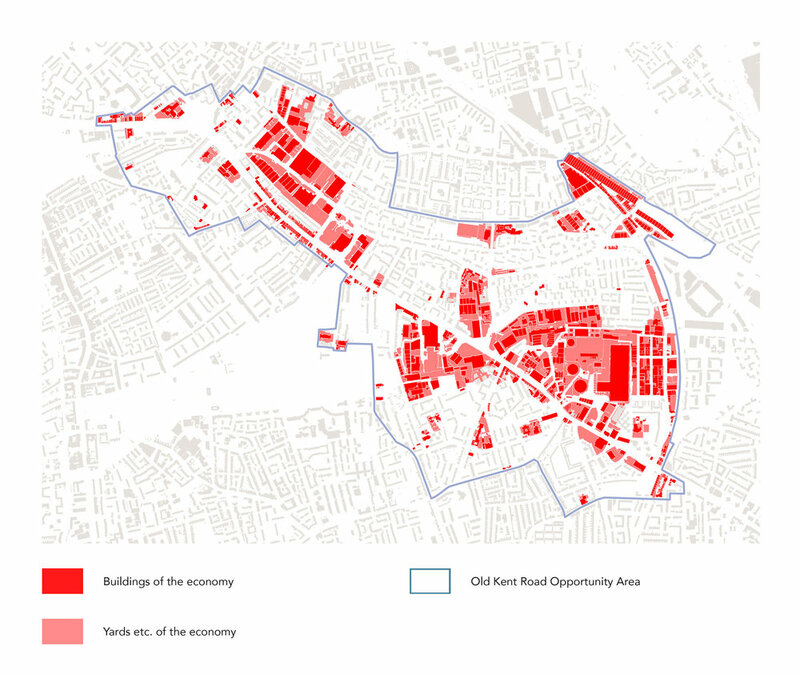 We have studied the economy of the Old Kent Road and surrounding areas through extensive auditing and mapping, allowing us to build up a robust evidence base. Supporting our claim that 'WE ARE NOT NOTHING! Do not expel the economy.